Boys get dirtier than girls and women do the washing. Maybe in a bygone era this was the case. But in our house, these two statements are both utter rubbish. Libby isn’t a particularly girly girl. At five years old, she still wears almost as much of her food as she eats. Her hair is constantly a mess despite my best efforts – she gets that from me. And she’s happy joining in with running games with the boys or climbing trees, building dens and playing in dirt. Her sports have always been running, swimming and rhythmic gymnastics. This term she has been playing cricket as well, and everything was going just fine. Until a few weeks ago, when Lia did her ballet exam. And Libby realised that she’d never done an exam, and she’d rather like to. So she announced that she wanted to start doing ballet. She went along to a couple of lessons to make sure it was the right decision, and next term she’ll be going into the grade 1 ballet group with the other girls her age. I was genuinely pleased for her. One of her good friends from school was in that class and she was really excited. And then disaster struck. She had to have a special outfit for ballet. No problem I thought. Except that the outfit was white. We haven’t yet bought the ballet outfit, but I already fear for its wellbeing. 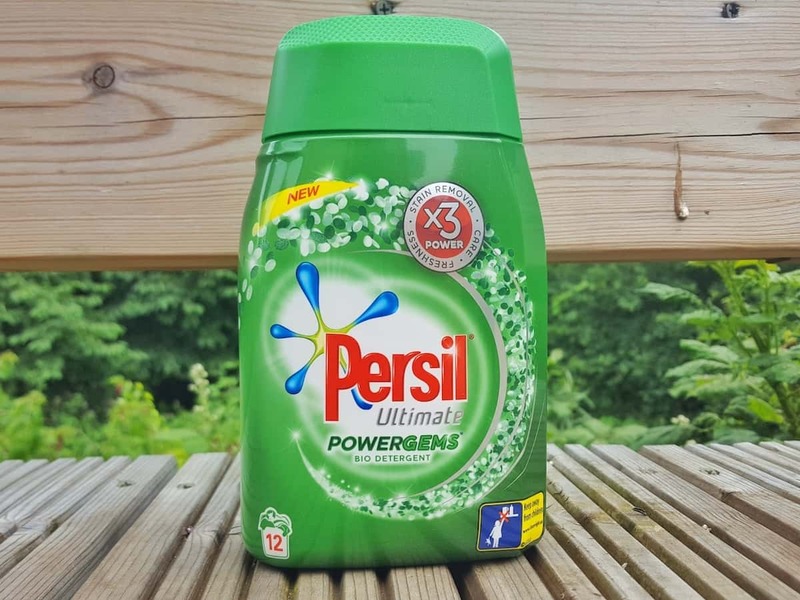 Luckily, we’ve been sent some brand new Persil Powergems to try out and I think they might just save the day. As I hinted at the start of the post, it’s not generally me who does the washing in this house. The only way I manage to fit in working from home as well as looking after the children pretty much full time is by my husband helping out a lot around the house. And the washing is generally his domain. So I waved the Persil Powergems under his nose and he used them instead of our normal washing powder. They’re very easy to use, made up of little confetti-like circles instead of the usual powder. You pour them into the lid to measure them out and then put the whole thing in the washing machine. They contain less chemicals than other washing products and they’re more concentrated. Another great feature is that they don’t leave residue on your clothes. 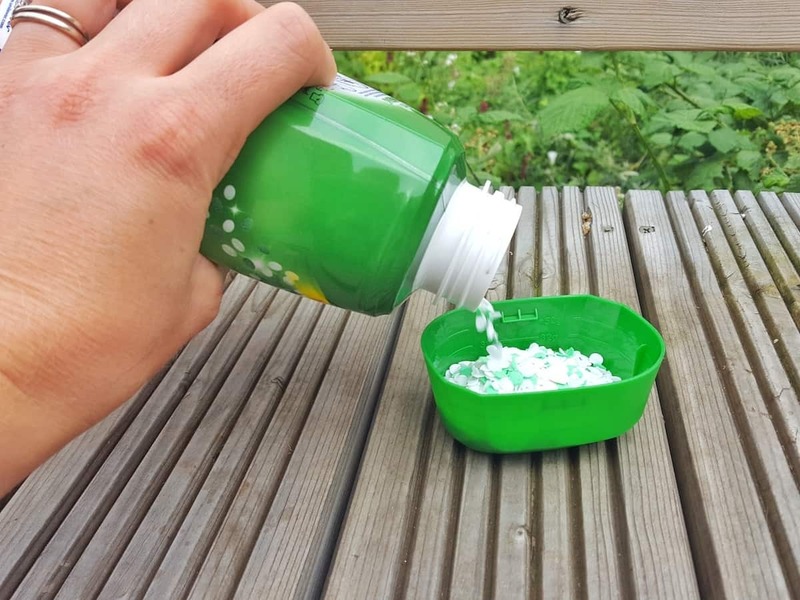 But most importantly for us, Persil Powergems have super stain-removing powers. The sort of thing you need when your five year old dives head first into a muddy puddle wearing a pure white ballet outfit. We’ve had the Persil Powergems for a couple of weeks now. Our clothes are certainly clean and fresh and the whites are sparkling. For me though, the colours are just as important as the whites when it comes to putting a washing powder to the test. The last thing you want is for the whites to be gleaming and everything else to be faded and washed out. And I have to say, Persil Powergems are doing a brilliant job. 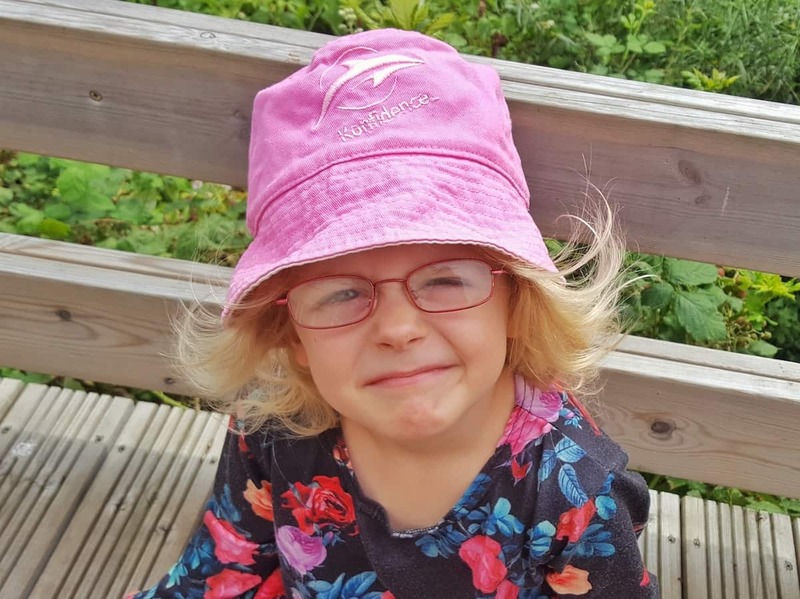 True to form, Libby has put her sunhat through the mill during the summer term. In fact, the vibrant pink had turned to a strange, disturbing brown colour. I worried about putting it in the wash as it’s one of her favourites due to the gorgeous colour. Luckily, it has come out looking as good as new. There might be hope yet for that white ballet outfit! Please note, the Persil powergems were sent to me free of charge and I was compensated for my time in writing this review. However all views, opinions and messy children are my own. My son’s school uniform is like nothing else – the stains on his white polo shirt are incredible. If this is better at getting stains out I may have to give it a go! Hi Nat, my daughter was and still is much muckier than my son, she’ll deny it though! 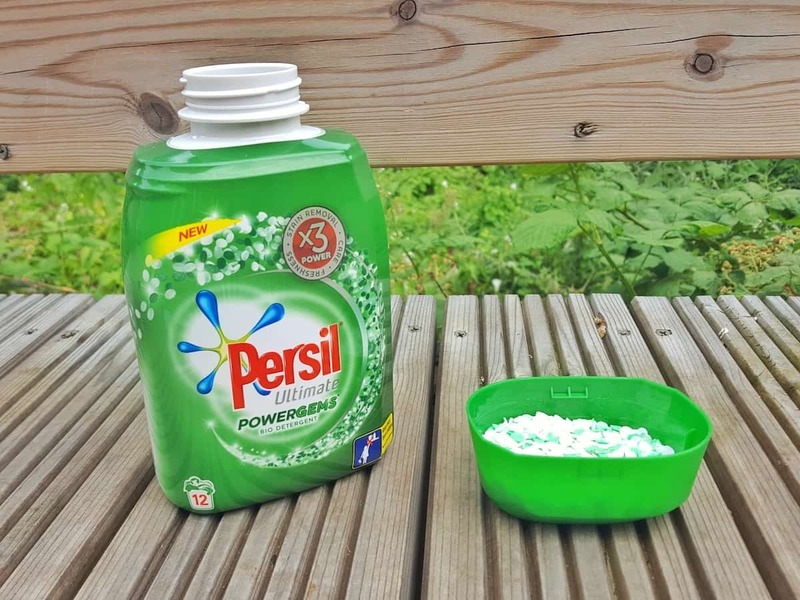 These Persil Powergems certainly sound like gems! Fingers crossed that they step up to the challenge of her ballet clothes! We’ve been using these and I love how good my washing has been smelling afterwards. I’ve not been able to go near normal laundry detergents since getting pregnant with Ollie 8 years ago – the smell of them still makes me gag (even the neighbours when it’s hanging on the line). What are these like for heavy perfume? When the supermarket runs out of Ecover and I’ve forgotten to order soapnuts it would be useful to have a back up brand that’s easy to get hold of.